If you have need for a custom script but are unable to do it yourself, please make a request! Perhaps one of the scripters here will be able to help you out. 4. Be clear in what you want and what you need. Copy this code and paste it in a new post and fill out the blanks. Be as descriptive and detailed as possible. If appropriate, make a a mockup of what you want in an image, or list other games (commercial or otherwise) that implement the feature you want. Do not ask here for help with or feedback on writing your own scripts. Do not ask here for help fixing compatibility errors. Description: My request is a simple one. 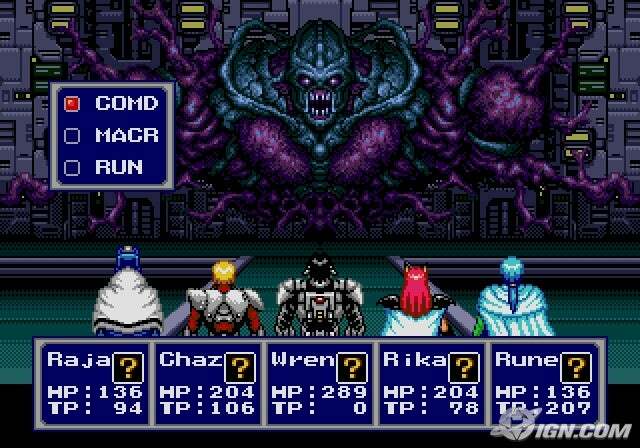 I desire the default battle system to look and function like the battle system in phantasy star IV, and to allow me to assign a graphic for each character, so they would appear with thier backs behind the menu, just like Phantasy Star IV. They do not need to be animated, as all I really need is for the DBS to have this appearance. Battle Menu System to function like the one in Phantasy Star VI. Still Functions like the Default Battle System. This displays what I mean by each character needing a graphic backing, and the menu system display I desire. And where can I find this wonderful looking system? I already did a quick google search and did not find it. EDIT: Alright, I just wrote to TDS directly, but I really hope he gives my project his blessing and lets me use one of his battle systems. Description: Make it so that the extra "Weapon" slot granted by the "Two Swords Style" option can equip either a weapon or a shield. * Must be compatible with YEM Equipment Overhaul. * I'm not sure it's an issue, but must also be compatible with all other YEM and KGC scripts, in other words, no massive overhauling of classes, the more aliasing the better, and so on. Description: On the main page of the menu, pressing an assigned button on a character's portrait will toggle a 'page' with their stats. Pressing again will bring up another page with a text description. 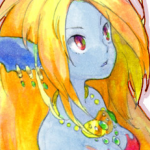 If its ok i would like a Phantasy Star4 Battle System Script to. Description: Looking for a script that makes maps randomly change each time they're entered, like the Ancient Cave from Lufia II. RPG Maker 2003 had this feature before but it was discontinued afterward. I'm making my own Ancient Cave & I'm having trouble finding a way to randomize the floor with each entry. RPG Maker VX already asks you to choose a floor tile & ceiling & wall tiles, so the generator just needs to perform the "Generate Dungeon" effect each time it's entered. There's one of these floating around somewhere. I'll have a look and get back to you. The demo was made for VX Ace & requires the RTP, so I assume the script was made in Ace. Is the script even compatible with VX? Good luck on your game. That's OK, I just got ahold of VX Ace now.